We are brothers, we are friends, we are family, and we are happy to assist you with all your moving needs. Using our diversity of experience, our team strives to deliver the highest quality moving services in our New Hampshire area. Please read on and learn more about each of us and request a free moving estimate to begin organizing your next move. After Paul graduated from Roger Williams University, where he double majored in Finance and Accounting, He worked at Fidelity Investments as a Financial Analyst for a few years but left in pursuit of a higher challenge and more flexibility with his life and work. Paul then took a year off to travel The US and parts of Europe before returning to New England to team up with his brother, Tim. In 2015 Paul and Tim founded Mathewson Home Consulting in Burlington, Vermont and for the past 3 years and growing have offered General Contracting services with knowledge they had learned from their father growing up. Paul's goal with Millennial Movers is to offer the same cheerful attitude with all the moves he produces. Paul believes work should be fun and joyful and strives to lead the team to feel the same while moving for clients. Tim has been an entrepreneur longer then he can remember. Whether he was scheming up his next lemonade stand or selling pens on the playground, Tim has been trying to help others since he was young. Moving to Burlington, Vermont for school was a life changing decision for Tim as he had no idea what could next with all of the possibilities. When he left school early in pursuit of the answers he truly sought, many weren't sure what Tim was up to but when the stars aligned and when Paul and Tim decided to team up to start their first business, Mathewson Home Consulting, The education Tim was really after began to unfold. 3+ years later Tim's entrepreneurial fire still burns hot and he is rather excited to offer moving services in New Hampshire, alongside Paul, Jason, Cousin Ethan, and of course sweet Chloe. Beth is thrilled to join her son’s, Tim and Paul in providing exceptional moving services to New Hampshire and beyond. Having been a resident of New Hampshire since she was a little girl she has never been more proud in watching Tim and Paul excel with their businesses and creating value in their community. Beth’s role on the team is as diverse as her business experience. For the past 15 years she has been and continues to be the business manager at The New London Barn Playhouse. For Millennial Moving Solutions, Beth’s priority is the success of every customer, from the first phone call or email to following up after every move to ensure the experience provided exceeded promises and expectations. Beth is such a positive force, you will feel her smile on the phone and hear her bubbly attitude through every email she writes. Proud Father of Tim and Paul, Chip can most often be found in the trailer packing items safely and securely. He likes to compare packing the trailer to adult Tetris but the high score is a happy client and undamaged furniture. He also enjoys showing off his driving skills behind the wheel. In his youth Chip had traversed the east coast route many a times hauling materials for his job sites building houses and paddle tennis courts. He knows all the best routes for the different times of day to avoid the heavy traffic that can slow a relocation down. On moves, Chip greets everyone with a smile and very patient service. He understands the stress moving can cause so he often will encourage The Moving Team to continuously think from the perspective of the homeowners and to treat furniture as if their own. Adrea is in the mode with every move she’s a part of. Ready with a smile to show off how much she can lift. She has many years of customer service experience in the New Hampshire area. Always a great listener and naturally positive attitude, Adrea makes moving a more stress-free and fun experience. Another side of Adrea’s technical experiences include renovating and flipping distressed properties with skills she has taught herself over the last few years. She is not afraid of a good challenge, loves to problem solve, and is always a team player. Nate has no problem making a move more fun with his excitable charm and energy. A man with a hidden bear strength, Nate loves to stress gentle hands and meticulous care of all fragile items. Nate is a man of many hobbies and diverse knowledge’s more often than not if a random question arises, Nate will either be an expert on the matter or know a guy who is. On moves, Nate will always be seen smiling and seeing the light of the day. There is no match for Nate’s optimism. In his view there isn’t a point otherwise. He is often referred to as the “Mr. Fix It” on The Moving Team, brainstorming the shapes of furniture and the angles required to fit everything safely through the home. It seems from the outside that his eyes have a built in tape measure and he can often see exactly where to position an item to get through those tight hallways, staircases or smaller doors. Jason brings his own type of cheerful attitude to the team, striking up meaningful conversation to any and all he approaches. An avid outdoors-man Jason often finds himself lost in his hobbies, fishing, hiking, camping, grilling delights, and serenading his wife, Tracie with his guitar that he seems to be able to materialize from nowhere. A past member of the MHC Team, Jason finds himself living in the same area as Tim and Paul and couldn't help but say yes to working with them again. Jason always enjoyed and shared a similar attitude as Tim and Paul of putting the customer first. One of Jason's biggest strengths is going above and beyond the call of duty often when not asked to. Josh is a New Hampshire native that is always ready to strike up a conversation. This has come in handy with some of his past endeavors. For over five years Josh has found himself in a sales position, collaborating the launch of software company (Compucog) and continuing to be a major part in its growth today. Josh holds a bachelor’s degree in business but that doesn’t mean that’s all there is to him. He is currently studying for his masters degree in Special Education. Football has also been tremendously impactful for him while in school and today. One of Josh’s passion projects include being a football coach for Newfound Regional High School where he uses the discipline, training and mentor-ship of football to aid his players in growing and evolving into hard working young adults with outstanding morals and integrity. 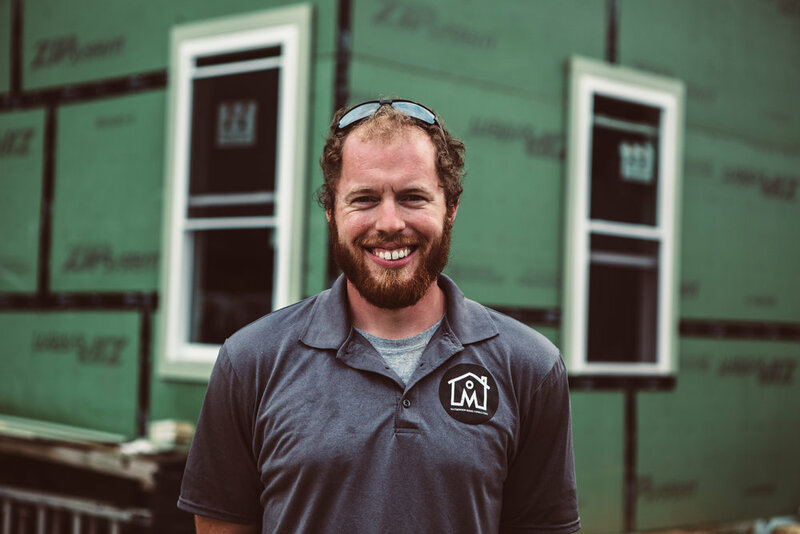 On the Millennial Moving Team, Josh steps out of the truck readily assessing the project with his own eyes and is immediately introducing himself to any new face. He is eager to begin the move and quell any anxiety and stress. Josh is strong, Josh is confident, and Josh is ready to do a good job. Ethan Perregaux brings his own special energy to the team. As the youngest member of the team, and cousin to Tim and Paul, Ethan enjoys showing off his energy running circles around the "old men" with whatever task is at hand. Always ready to smile and lighten the mood with a pithy line, Ethan's positivity brightens any job he is on. Right now Ethan is gearing up for his senior year of college at SUNY Geneseo where he is studying Accounting. Ethan thoroughly enjoys his time with his cousins during the summer with their fresh perspective on business and he is very quick in assisting Paul and Tim with what he has learned in school. Zac and Tim have been friends for longer than they can remember otherwise. Compliments of each other Tim and Zac have learned to channel those differences to make a duo to be reckoned with. When not in NH for his summers, Zac lives in Virginia Beach with his lovely Fiance, Emilie. During his schooling he studiously worked himself through a bachelors and most recently a Masters in Athletic Training. On Moves, Zac can be most often found correcting postures and encouraging the practice of proper lifting techniques. He is always ready to pass along his extra water bottle and believes hydration is the key to a successful move. Always ready to laugh and enjoy himself, Zac is a pleasure to have on any move. Jason is the youngest member of The Moving Team but that only means he will be the most eager to prove he is just as strong, if not stronger than any of the other Movers. His red hair gives him the easy nickname, Sparky on The Moving Team. Currently enrolled in his sophomore year at SUNY Potsdam he is loving the rich diversity the campus has to offer. He has not officially declared a major yet and is taking his time to explore his curiosities. Jason is always ready to make a new friend and learn the stories of people. He will be the first to ask how your day is going and with his warmth that simple introduction will easily turn into a conversation that lasts the entire move. Before starting school, Jason completed his requirements to receive his Eagle Scout Award. During his free time, he can be found more often than not traversing the surrounding mountains and finding hidden swimming holes. Chloe Mathewson joined the family 2 years ago and soon became a vital member of the team. Her skills include finding the missing tennis ball, wooing customers with her cuteness, and being the coolest co-pilot a guy could ask for. Chloe thoroughly enjoys belly rubs and promises not to dig any holes in your garden, however chasing chipmunks is fair game. Often referred to as the team oversight, Chloe has no issue in pointing out when the guys are being silly or when they should be working harder. No one on the team works harder then Chloe making her rounds from person to person to collect belly rubs and love. Typically though she will not be joining the team on moves, unless by special request from customers comfortable with a high energy springer spaniel with a mission to keep spirits high and smiles on faces.